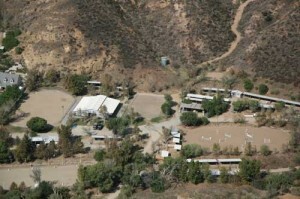 Summerhill Equestrian Center in Santa Clarita CA. Since 1989. Summerhill Equestrian Center offers quality horse boarding, training and riding lessons in Santa Clarita, California. We offer superior care for your equine partner. It is our goal to provide a safe, friendly environment to create an enjoyable experience for both horse and rider. Our services such as daycare, training and blanketing will provide you with a convenient and enjoyable way to care for your horse, even when you can’t come out. We pride ourselves in horse care, and strive to help you to keep your horse in top condition. Proper care is made easy with scheduled professional services (vaccine clinics, shoeing and more). Our priority is the wellbeing of your horse. We offer four arenas for our boarders to ride in (all with DG base and sand), and also have easy access to trails in the Angeles National Forest. A turnout arena, round pen and hot walker are available for your convenience as well. Our covered cross ties will provide you with a safe area for grooming and tacking up. There are multiple washracks available; each boarding area has one nearby. We specialize in Hunters and Jumpers. Western, trail and pleasure riders welcome!